Pakistan has the sixth largest population on the planet, with more than 180 million people, but the country startup scene is very much below profile. iKnowl, a company based in Karachi, is aiming to change that and today it announced the launch of its new service — Artsly — and revealed it has raised $175,000 from Europe-based investor Kima Ventures. iKnowl claims to be the first startup from Pakistan to gain financial backing from an international VC, but its founders hope that others will follow soon. We believe that discovering quality educational content, specifically in arts and crafts, is not possible due to fragmentation of available learning resources. We realised that there are no female focused learning platforms available online, and we thought ‘what if a female teenager wants to learn a new hairstyle? Or what if she wants to learn dance or music?’ This analysis led us to a conclusion that there are no learning platforms focused on lessons for creative skills, especially for female audience. Having this problem in mind, we developed Artsly. 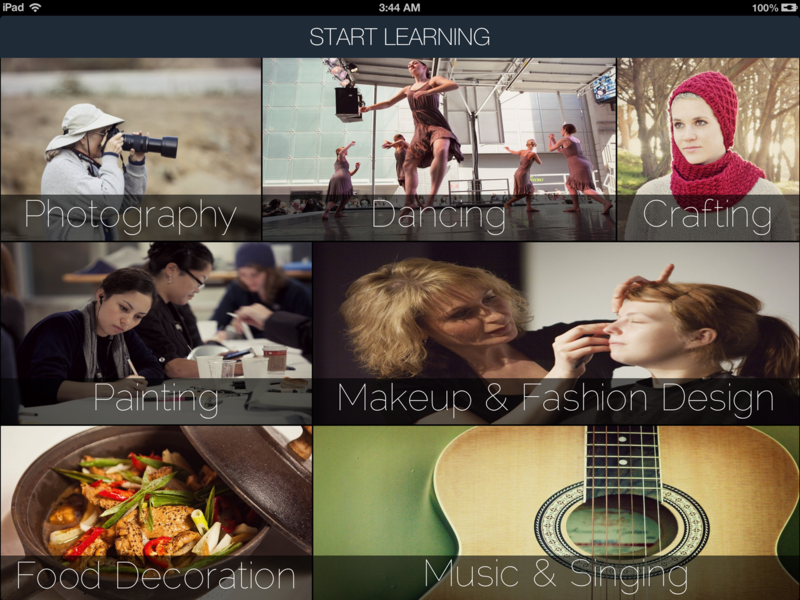 The app functions much like YouTube, with lessons based around categories like photography, dancing, painting, makeup, food decoration and music. 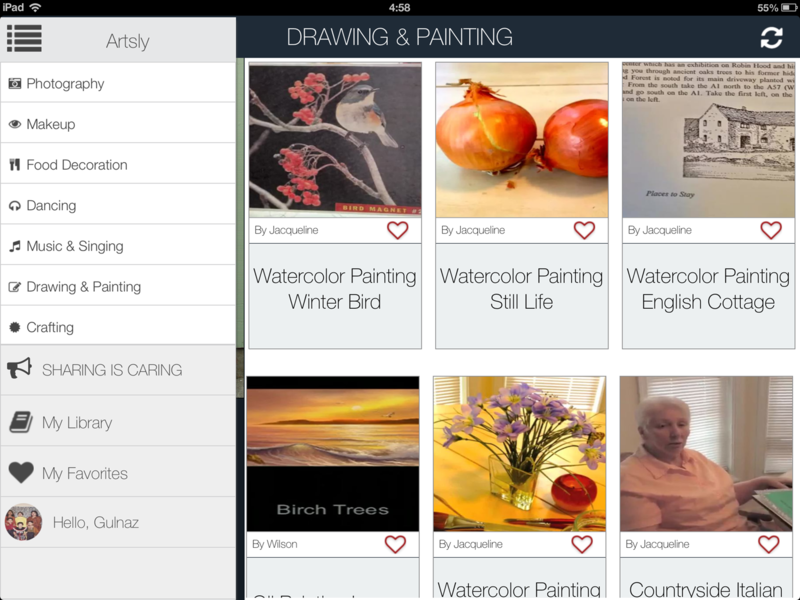 Artsly is initially available for the iPad only, but a Web-based version will launch this month, with iPhone support and an Android tablet app due in August. Thanks to a beta phase, Huzaifa says Artsly already has more than 1,400 different instructors signed up to provide video content, and the company is looking to increase that number now that the app is launched (it actually quietly went live last week). Content makers take a cut of the advertising revenue, in a YouTube style model, but there will soon be more options. 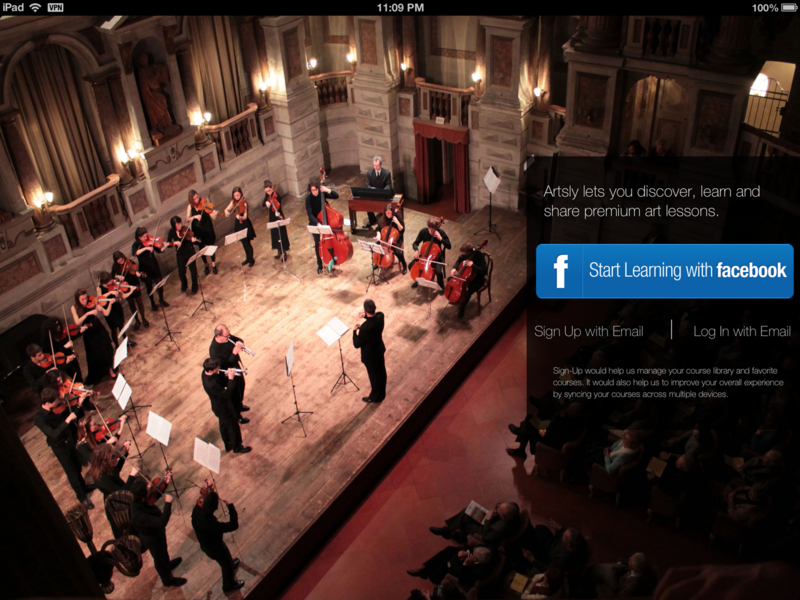 The launch of the Web-based version will allow them to sell their lessons direct to users, via Artsly, for a fixed price too. This isn’t the Muhammad brothers’ first startup venture, in fact iKnowl/Artsly is their third. Their investment from Kima comes from a long-term relationship with Jeremie Berrebi, partner at the European firm, who first showed an interest in their work back in 2011.